Currently, the HDFC Bank stock forms part of 522 schemes of mutual funds. The popularity and viability of the HDFC stock can be gauged by the fact that of 42 asset management companies (AMCs) in India, 39 hold the stock in their different schemes. Private sector lender HDFC Bank, the third-largest Indian firm by market capitalisation, is among the favourite stocks in the portfolios of mutual funds. Despite expensive valuations, mutual funds have lapped up the stock which has generated manifold returns since its listing in 1995. Currently, the HDFC Bank stock forms part of 522 schemes of mutual funds. The popularity and viability of the HDFC stock can be gauged by the fact that of 42 asset management companies (AMCs) in India, 39 hold the stock in different schemes. Total market value of the stock holding by mutual funds on November 26, 2018 stood at Rs 53,908 crore, according to data by Geojit Financial Services. The stock has delivered manifold returns since its listing in 1995. The large cap stock which was listed at Rs 40, three times its issue price, has gained 5,177% to 2,111 level on the BSE. It has risen 1,034.26% during the last 10 years compared to 292% returns given by the Sensex during the same period. In comparison, its closest private sector counterpart ICICI Bank has logged a 472.85% growth in the stock market during the last 10 years. Another private sector lender Axis Bank has recorded 672.56% growth in its stock price during the last 10 years. 40 of 44 brokerages rate the stock "buy" or 'outperform', three "hold" and one "underperform", according to analysts' recommendations tracked by Reuters. So what makes the HDFC Bank stock among the top picks in schemes of mutual fund? The private sector lender stands apart from its peers when it comes to NPAs, corporate governance issues. Jaikishan Parmar, senior equity research analyst, mid caps at Angel Broking said, "HDFC Bank has always remained a favourite stock pick for mutual funds and institutional investors despite it trading at premium valuations compared to peers. The primary reason for investors/MF to invest in HDFC Bank is that it offers compelling growth and good corporate governance. HDFC Bank has been able to report return on equity (ROE) above 15% consistently owing to its focussed approach towards retail lending and limited exposure to a heavily indebted Indian company. The consistent high ROE offers opportunities to the bank to deploy profitability at a high rate. This helps the bank to compound book value consistently. Bank's asset quality has not deteriorated even during a subdued economy over FY2011-15. Moreover, in present scenario where GNPA of Indian Banking sector is at 12.1%, GNPA/NPA of HDFC Bank is contained at (1.3%/0.4%). When majority of the banks are busy in settling NPA issues, HDFC Bank has been able to raise Rs 24,000 crore for next level of growth." The lender also has strong financials which makes it a hot pick among mutual funds. The bank logged a 666.92% growth in its net interest income (NII) during the last 10 years. NII for the fiscal ended March 2018 stood at Rs 40,094 crore compared to Rs 5,227.88 crore for the fiscal ended March 2008. Net interest income (NII) is the difference between the interest income a bank earns from its lending activities and the interest it pays to depositors. 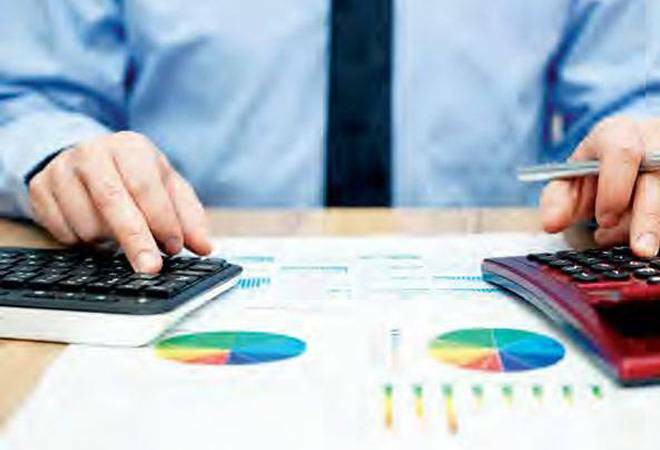 Income on investments rose 464.83% to Rs 16,222.37 crore for the fiscal ended March 2018 compared to Rs 2,872.04 crore for the fiscal ended March 2008. The bank logged a 999.67% rise in its profit after tax to Rs 17,486.75 crore for fiscal ended March 2018 compared to Rs 1,590.18 crore for fiscal ended March 2008. Its operating profit margin stood at 64.34% for fiscal ended March 2018 compared to 48.29% for fiscal ended March 2008. Deposits rose 649% to Rs 7,88,770.64 crore for fiscal ended March 2018 compared to Rs 1,05,247.5 crore for fiscal ended March 2008. Loans and advances grew 937.93% to Rs 658,333.09 crore for fiscal ended March 2018 compared to Rs 63,426.9 crore for fiscal year ended March 2008. Jeevan Kumar, Head of Investment Advisory at Geojit said, "The stock's top notch asset quality, robust retail franchise, strong balance sheet growth, and superior liquidity positioning makes it a hot pick among the mutual funds." Of late, the stock took an opposite direction when Sensex and Nifty fell from their all-time highs hit on August 29. While Sensex is down 7.11% from its all-time high, Nifty has fallen 7.56% from its peak hit on August 29, 2018. Bank Nifty too has fallen 5.10% till date compared to its all-time high of 28,388 level. On the other hand, HDFC Bank stock rose 2.59% from its August 29 level of 2078.50 till date. Interestingly, HDFC Bank, which hit its all-time high of 2,219.05 on July 18, 2018 has fallen merely 4% till date compared to over 7% fall in the benchmark indices. Overall, the ability of HDFC Bank stock to face rough market weather, clean corporate governance practices and logging stellar returns make it a compelling buy among mutual funds.